What is the sustainable urban development research niche of the AusAid-CSIRO Alliance in Asia? What are the key drivers and consequences of urbanisation in Asia? How are cities in the region performing in the context of globalisation and global environmental change? What are the current trajectories of urban development and environmental change, and how can we promote a transition to sustainable cities through strategic investment? What are the key action areas and investment priorities to achieve sustainability? 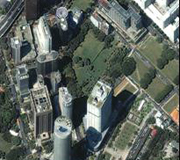 The project provided a sound scientific base to guide development investment in the urban arena in Asia through a better understanding of urbanisation drivers and consequences in the region, the sustainability performance of selected cities, and the identification of intervention points to achieve a sustainability transition in Asian cities. This work involved the close coordination of the CSIRO research team and Australian Aid to assure high quality and leading-edge scientific impacts and strong linkages to Australia’s mission of assisting countries in identifying pathways for sustainable and equitable development. Build linkages and partnerships with existing major urban sustainability initiatives internationally, to enhance the collaboration potential, visibility, and impacts of the project, for example World Bank, Cities Alliance, Asian Development Bank, Urbanisation Core Project and Industrial Transformation Core Project of International Human Dimensional Program of Global Change (IHDP), UN-HABITAT, World Bank East Asia Pacific Trust Fund, and the World Bank South Asia Region Trust Fund. An understanding of the range of research and development activities currently underway in the region and key gaps and opportunities for the Alliance’s urban research partnership to address. Framework and scientific basis for understanding urbanisation trajectories and opportunities for multi-level interventions to promote the transition to more equitable and sustainable forms of development in Asia. Effective engagement strategies to promote understanding and uptake of research findings. Development of new capacity for country based researchers to continue research that informs policy and practices promoting more sustainable forms of urbanisation. Domestic and international recognition for the Alliance’s research and investment in sustainable urban development. the priority action and investment areas in selected cities will provide sound basis for Australian Aid to make investment decisions in urban arena in Asia. Provide a better understanding of how cities change over time, and how system innovation and sustainability transition take place will help Australian Aid and other development agencies to put investment decisions into long term perspective, and adopt an investment and project implementation behaviour that help achieve sustainability in the city and the region in the long run.